How Does Dry Air Occur? How Can a Humidifier Help Asthma? Are Warm-Mist or Cool-Mist Humidifiers Better for Asthma? Why Is It Important for Asthma Sufferers to Keep Their Humidifier Clean? What Is the Proper Way to Clean a Humidifier? 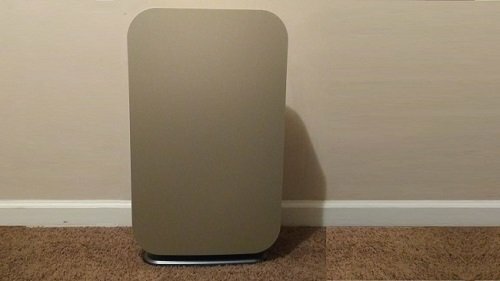 What Are All the Features to Consider on a Humidifier? As a respiratory disease, asthma causes inflammation and narrowing of the lungs’ airways, which are called bronchial tubes. Unlike acute diseases that affect the lungs, asthma is a chronic condition; therefore, those who have it usually experience symptoms off and on throughout their entire life. In rare cases, children can grow out of asthma when they become adults, and some people can go for years without experiencing any asthma attacks. Unfortunately, asthma is incurable, but this disease can be managed with medication and by avoiding triggers. Many people also successfully alleviate the severity of their asthma symptoms by incorporating homeopathic solutions into their treatment plan, such as using a humidifier at home. Sometimes, the signs and symptoms of asthma begin before a full-blown attack starts. A few of the pre-attack symptoms include unusual exhaustion after physical exercise, trouble sleeping and nighttime coughing. In the midst of an attack, coughing also occurs; however, coughing may be uncontrollable and experienced with shortness of breath, wheezing, chest tightness, anxiety, rapid breathing and even blue-tinted fingernails and lips as the person’s oxygen level decreases. How Are Asthma Attacks Triggered? When an event or substance triggers an asthma attack, the muscles around the airway tighten, causing bronchospasms. Then, the airway becomes inflamed and mucus production increases, both of which make it hard for the asthma sufferer to breathe. There are many asthma triggers, and these triggers are highly individualized, so they differ from one person to the next. However, some common triggers include pollen, mold, dust, dander, certain foods like shellfish and peanuts, smoke and strong perfume. Even dry air, exercise, stress and the flu can make someone’s asthma symptoms flare. Winter. For those who live in regions where it gets extremely cold during this season, winter means snow and beautiful scenery. Unfortunately, winter also creates dry indoor air when the heater is running, which means trouble for asthma sufferers. As the air gets warm inside of your house, it expands, and this impacts its ability to hold water. In turn, the relative humidity decreases. Relative humidity is the rate of moisture the air is currently holding at a specific temperature versus the maximum moisture capacity of the air at the same temperature. When you see a relative humidity reading, it’s shown as a percentage. For instance, a relative humidity of 30 percent means the air contains only 30 percent of the total water vapor it is capable of holding. Some humidifiers are equipped with a hygrometer, which is a tool that determines the air’s moisture level while other humidifiers have a humidistat. A humidistat takes the moisture-reading ability of the hygrometer a step further by not only measuring the relative humidity but also controlling it. Even though humidifiers can’t wipe out every conceivable asthma trigger, they can keep the air moist and alleviate congestion by raising the relative humidity of the surrounding air. Depending on the type of humidifier, this appliance works by creating cool or warm mist from a supply of water the user adds to its tank. Then, this mist is distributed out of the nozzle and into the air. The square footage of air the humidifier can moisturize depends on its delivery system, water tank size and other internal components. Manufacturers have developed various technologies to deliver moisture to the air, leaving consumers with multiple humidification options. Each type of humidifier works in a unique way. However, the end result is always an increase in relative humidity. Inside of this humidifier, there is a wick filter that’s constructed from foam or cloth. This wick is designed to retain moisture. When the internal fan produces air, the air blows across the wick. As the water evaporates naturally, it releases cool mist into the air. Evaporative humidifiers don’t need a humidistat because they are able to self-regulate. Instead of a wick and fan, an ultrasonic humidifier contains a metal plate. The humidifier generates high-frequency sound waves that cause the plate to rapidly vibrate. As the plate moves, water droplets are created, and these droplets are emitted through the nozzle in the form of cool, humidifying mist. Like an evaporative humidifier, an impeller humidifier also has a circulating fan. However, it utilizes a diffuser instead of a wick to make water droplets. On the exterior of the humidifier, there is a revolving disc. This disc breaks up the cool droplets, so they can float through the air with ease. Sometimes mistaken for a steam vaporizer, a warm-mist humidifier works much differently than the other three types of humidifiers listed here. 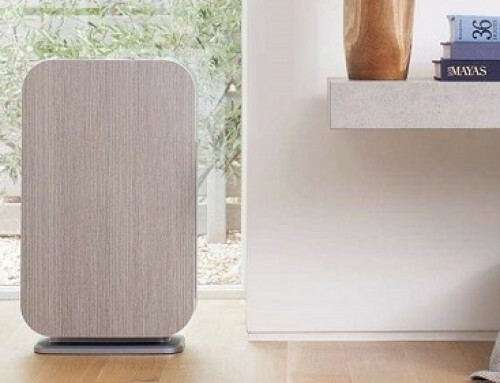 Instead of cool mist, this humidifier generates just what its name suggests – warm mist. Within the humidifier, there is a heating element that heats the water until it boils. Then, the steam that’s let off from the boiling water is allowed to cool slightly until it turns into mist. Finally, the mist is distributed through the air, so the user breathes in warm mist instead of hot steam. On the other hand, a steam vaporizer simply releases steam without allowing it to cool beforehand. Ultimately for asthma sufferers, the goal is to increase the relative humidity in the air around them and break up the mucus that contributes to their inability to breathe properly. Some asthma sufferers find warm mist to have a suffocating effect on their airways; however, this is not the case for every person who has asthma. The decision to use cool mist or warm mist comes down to personal preference. Warm mist often feels soothing during cold-weather months. Either route you choose, it’s crucial to keep the humidifier clean and to maintain a healthy humidity level because a high relative humidity allows dust mites to thrive, which can trigger asthma symptoms. Therefore, you should look for a cool-mist or warm-mist model that has a hygrometer or humidistat, so you can keep the humidity level within the 40 percent to 50 percent range. For people who have asthma, bacteria and viruses may cause illnesses that can exacerbate their symptoms. Even the presence of mold can cause an asthma attack. A dirty humidifier can create the perfect conditions for bacteria, mold and viruses to grow and thrive, which can quickly to a life-threatening situation for those whose asthma is severe. While exact care and maintenance instructions vary from model to model, there are a few maintenance tips that apply to all humidifiers. For asthma sufferers, keeping their humidifier clean is crucial to maintaining good health. Old water acts as an incubator for bacteria. Even if you have a humidifier with a large water capacity, you should still change the water every day. By doing so, you can stop the growth of bacteria before it starts. Although it’s unnecessary for people who don’t have asthma, those who do should avoiding filling the tank with tap water. Instead, opt for distilled or purified water, both of which contain a lower level of minerals. When you use tap water in certain humidifiers that don’t contain a filter, the humidifier may distribute these minerals into the air, causing you to inhale them. After a while, hard water deposits can form on the inside of the tank. Since you don’t want any impurities to contaminate the humidifier’s water supply, you should wash the interior of the reservoir with mild soap and water, allowing it to dry before you refill it. If the tank’s inlet is too small for you to fit your hand inside, run diluted white vinegar through the appliance for about 15 minutes. Then, empty the tank, let it dry and refill it. If your humidifier has a filter, you want to make sure it stays clean. With models that have a reusable filter, rinse or wash it per the manufacturer’s instructions. If the filter cannot be reused, replace it as soon as it looks dirty. The user manual that comes with the humidifier should give you a time frame of how long the filter will last. 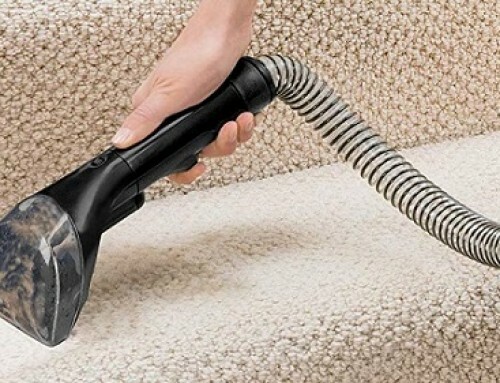 Never run a humidifier with a dirty filter because the filter will contaminant the mist. While the Innoo Tech 4.2L Warm & Cool Mist Humidifier is compact at 13 inches tall by 11 inches wide, it can release enough moisture to raise the relative humidity in a 500-square-foot room. With a weight of 2.6 pounds, the ultrasonic humidifier is suitable for bedside table placement. It only has three clearly labeled touch buttons, making it easy to use, and it comes with a 12-month warranty. From the control panel, you can change the mist output from low to high, and you can choose whether to turn on the heating element to go from cool mist to warm mist of 120 degrees Fahrenheit in just 10 minutes. On low mist, the appliance can operate for 28 hours without running out of water. 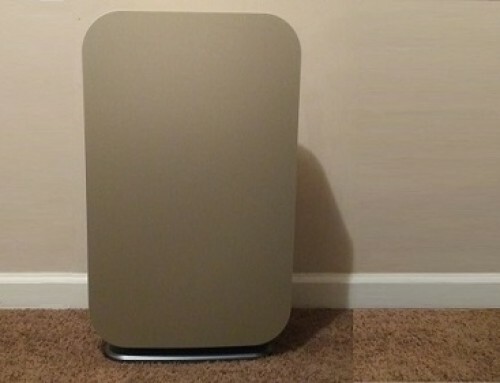 To safeguard your health, Innoo Tech included a non-reusable air filter that keeps hard-water dust out of the air. If you choose to use this optional feature, there is an aromatherapy box. For some asthma sufferers, certain diffused essential oils like clove oil, lavender oil and eucalyptus oil can alleviate airway inflammation and clear thick mucus. The removable water tank boasts a capacity of 4.2 liters, and it contains a filter that hinders bacteria growth; this filter only needs to be changed once per 1 to 2 years. On the outside of the tank, you can observe the water level through a vertical window. When the water runs out, the humidifier automatically shuts off to protect itself from damage. For your convenience, an indicator light flashes, and the machine makes a beeping noise to let you know it’s empty. This Honeywell HWM705B Humidifier provides soothing, warm mist around the clock. 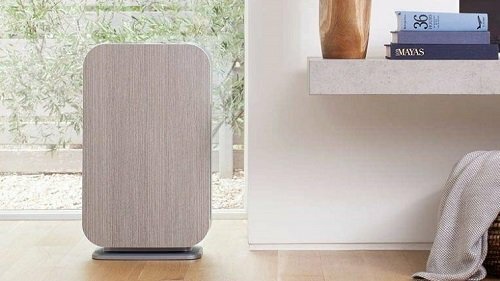 The 13-inch-high by 11-inch-wide humidifier fits nicely on most end tables, and it has enough power to cover a medium-size room. At a mere 4 pounds, you’ll find it easy to tote, and you’ll also appreciate the long warranty period of 3 years. With a dial mist control, Honeywell keeps this humidifier pleasantly simple. Turn the knob clockwise, and you can choose a low level or high level of mist. On the lowest setting, the appliance produces mist for 24 hours on a full tank. In addition, there is a medicine cup near the nozzle, which offers a place to add cough-calming camphor, menthol or other liquid inhalants to the flow of mist. Thanks to its three-sided transparency, it’s easy to tell how much water is left in the 1-gallon tank. To refill the tank, lift it off the by the recessed handle. After you flip it over and pour in the water, you can carry it by the other handle on the bottom. For your convenience, there is a no-water sensor and an indicator light that lets you know it’s time for a refill. Since there is no water or air filter, this humidifier doesn’t require much maintenance. Even though the BONECO U650 ultrasonic humidifier is twice the weight of the first two humidifiers on this list, it’s still just as compact. It boasts a high-tech interface with touch buttons and a dimming digital display. From the control panel, you can access features like the 8-hour timer while mist spreads across a much as 650 square feet from the dual-outlet nozzle. You even get a lengthy 3-year limited warranty. With a maximum output of 3.5 gallons per 24 hours, you can get half a day’s worth of mist from the 1.5-gallon-tank. Whether you choose the 104-degree-Fahrenheit warm-mist or the cool-mist option, you can set the mist to flow at one of three speeds. There is also a sleep mode that dims the display and puts the fan on its lowest, quietest setting. For those who have asthma, the humidifier contains a hygrostat, which automatically adjusts the relative humidity as needed. You also have the ability to manual set the relative humidity from 30 percent to 80 percent. As a bonus, BONECO included a demineralization cartridge to prevent limescale, an activated-carbon Hydro Cell to destroy VOCs that can trigger asthma attacks and a 3-pack box of EZCal powder to clean the tank. Dyson typically takes a cutting-edge approach to its appliance designs, and the Dyson AM10 Humidifier is no exception. The elongated oval mist-releasing ring in blue sits on top of a steel gray cylindrical base, which is surrounded by the water tank. In total, it stands 22.8 inches tall and weighs 7.5 pounds; therefore, it’s meant for floor placement. This humidifier comes with a remote for distance control and a 2-year limited warranty for peace of mind. Thanks to its ability to deliver 10 levels of mist across a long distance, the humidifier can put out a non-stop flow of mist for 18 hours on its lowest setting. Alternatively, you may set a sleep timer, so the humidifier shuts down after 15 minutes to 9 hours. To make sure the mist stays clean, Dyson integrated a UV-C light, which destroys 99.9% of any bacteria in the water. In addition to the UV-C light, there is a hygrostat and temperature control inside of the humidistat. When you choose a relative humidity level from 30 percent to 70 percent, the humidifier will self-regulate to maintain your chosen setting. However, it can also choose and achieve the ideal relative humidity for the room if you put it on auto mode. 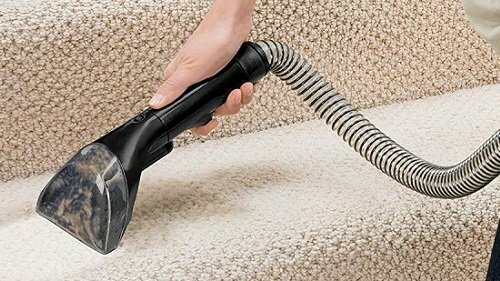 Due to its innovation and effectiveness, the Dyson AM10 has a seal of approval from three different organizations, including the Asthma and Allergy Foundation of America. Similar to the Dyson, the 9-pound Honeywell HCM350B Germ Free Cool Mist Humidifier is suited for floor placement in an average-size room. Unlike the Dyson, this cool-mist humidifier uses the evaporative process to deliver mist from the huge outlet that spans the top of the 17.5-inch-wide by 11.8-inch-tall appliance. It also has excellent warranty coverage, which lasts 3 years. From the dial knob, you can change the fan’s speed. You can select from the highest speed for quick relief, the medium speed for regular humidification or the low speed for an extra-quiet background. If you choose the highest speed, the humidifier release 2 gallons of moisture per day. On the other the hand, continuous use of the lowest speed offers 24 hours’ worth of mist on a single tank. There are two ways that this cool-mist evaporative humidifier keeps the water and mist clean. First, it has a UV-C light. Plus, the wick filter is covered with an antimicrobial material that kills 99.99 percent of bacteria and mold. The reservoir is easy to fill by simply lifting it out of its slot and pouring water into the wide tank inlet. Whenever you need to sanitize the 1-gallon tank, you can run the tank and the tray through a cleaning cycle in the dishwasher. Want to learn more? Read our “What is the Difference Between Cool and Warm Mist Humidifiers?” article. Whether ultrasonic, evaporative or warming, the humidifier you choose should be a high-quality one. Also, it should have all the features you need to stay comfortable while managing your asthma symptoms. Some features you can live without; however, others are indispensable when you have a chronic respiratory condition. From integral aspects like the correct room capacity to convenience functions such as night mode, there are many features to take into account when buying a humidifier. Above all else, you must think about the square feet of the room where you intend to keep the humidifier. Is the room small or spacious? Typically, the manufacturer will provide this information in the product description. However, you can also use the tank’s water capacity as a guide. The bigger the tank, the more moisture it can deliver. The nozzle is the exit point for the mist in an ultrasonic humidifier, so it needs to work effectively. It should direct the mist straight or diagonally into the air with a lot of force behind it, so the mist can travel far and fast. There are some humidifiers with a dual-outlet nozzle, which simultaneously releases mist in two directions. In an evaporative humidifier, the fan should have sufficient speed, and the outlet grill needs to be wide for maximum output. Evaporative humidifiers don’t come with a filter because the wick itself does double duty, and it can eliminate bacteria if it’s an antimicrobial type of wick. Warm-mist-only humidifiers usually don’t have a filter since the heat they produce kills germs. If you choose a cool-mist ultrasonic humidifier, the addition of a filter is crucial in keeping asthma triggers like mold and viruses at bay. However, an ultrasonic humidifier without a filter should not be automatically ruled out of your search if it has a UV-C light. This specific ultraviolet light spectrum destroys bacteria, viruses and mold from the inside out. Therefore, it can keep the humidifier’s water supply clean. In turn, you won’t put yourself at risk of an asthma attack. Hygrometer-equipped humidifiers offer precision control over a room’s relative humidity. Since this air moisture ratio plays a huge role in causing or preventing asthma symptoms, you can’t afford to under or over-moisturize the air. In auto mode, the humidifier will maintain a healthy relative humidity until the tank is empty. If the humidifier also has a timer, you can let it run only while you’re asleep or exercising. Depending on your particular triggers, you may benefit from aromatherapy. Some humidifiers contain a designated tray for essential oil use while others have an oil-compatible reservoir. Either way, you should pick essential oils that help relieve asthma symptoms. Lavender oil can reduce swelling, decreasing bronchospasms. Eucalyptus oil and tea tree oil not only reduce inflammation but also loosen mucus buildup. Clove oil, chamomile oil and thyme oil are also excellent choices for asthma sufferers. If you need to ease a nagging cough, there are warm-mist humidifiers that release liquid inhalant vapors into the air. Asthma is a lifelong condition. Therefore, you need long-term protection for the investment you’re making in your health. This is exactly what a warranty offers. If the humidifier breaks or malfunctions, you can count on the manufacturer to fix or replace it as long as it’s within the warranty period. The standard warranty period for a humidifier is 1 year; however, some humidifiers provide a warranty that lasts as long as 3 years. The non-profit Asthma and Allergy Foundation of America conducts research and advocates for the asthma-and-allergy community. One of the ways this organization assists asthma suffers is through their joint partnership with Allergy Standards Limited. Together, these two groups oversee the Asthma & Allergy Certification Program, which officially certifies products that meet their high standards for asthma and allergy care. If a humidifier has this certification, you can feel assured that it’s a high-quality humidification appliance. Almost every humidifier gives you a general idea of how much water is inside of the tank. Tanks may be transparent or have a long viewing window. The ability to view the water level is not the only aspect to consider on a humidifier’s reservoir. You should also look at how it’s designed. Does it separate from the humidifier or is it integrated? A removable tank is easier to clean; however, a built-in tank is easier to refill. Some models even display an indicator light or make a noise when the tank is empty. When you don’t feel well, you need to relax in peace and quiet. A humidifier with a night mode function helps you get restful sleep. This mode will dim or turn off all indicator lights and the display screen’s backlight if it has one. Plus, it sets the fan or mist speed to its lowest setting to dampen the noise output as much as possible. The type of controls is strictly a matter of preference. If you like the simplicity of streamlined appliances, you may want to opt for a humidifier with a simple turn dial that controls the power and mist-output rate. On the other hand, if you want to have more operating functions at your disposal, a push-button or touch-button control system is a better choice. About Humidifiers A humidifier is a product that increases the humidity (moisture) in a room. At home, humidifiers are typically used to humidify a single room, whereas whole-house or furnace humidifiers, which link to a home's HVAC system, provide humidity to the entire home.